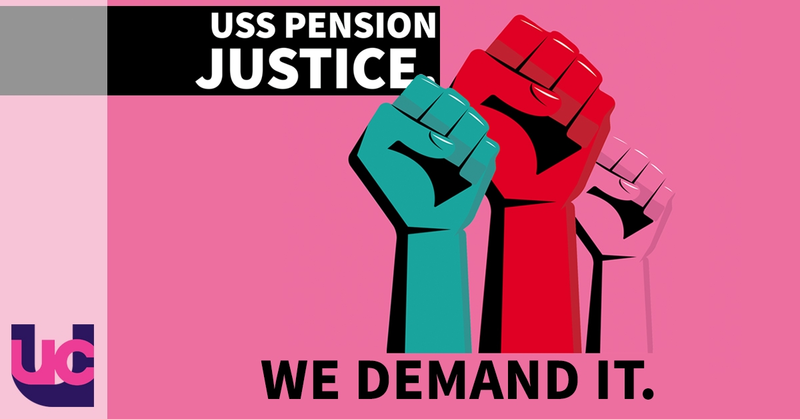 UCU members took serious and sustained industrial action in the face of damaging proposals from the employers which would effectively destroy the USS pension scheme. The employers wanted to end guaranteed pension benefits. They said your final pension should depend on how your 'investments' perform and not on your contributions. We said it's wrong to risk our members' futures. Follow the work of the USS national dispute committee, providing a representative steer to the dispute. UCU branches have been updated on the latest developments with USS and in particular the 'live' technical provisions consultation with employers. Members receive an update on the latest USS developments. The Pensions Regulator has called upon USS to reach a formal agreement with UUK on how to manage any possible downside from the employers' new commitment to undertake more risk. UCU national head of policy and campaigns, Matt Waddup, updates members on the USS dispute and the ongoing response to the first report of the Joint Expert Panel. 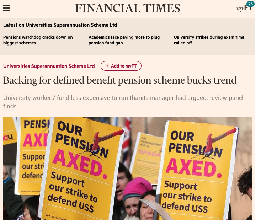 The Financial Times reports on the significance of the JEP report [768kb] following UCU member action, stating 'the panel's 100-page report made for uncomfortable reading for the key players, including the regulator, which the panel accused of misjudging the ability of the university sector to financially support the scheme'. UCU's superannuation working group (SWG) has endorsed the recommendations of the Joint Expert Panel (JEP) on the Universities Superannuation Scheme (USS), and called upon Universities UK and USS to do similar. In welcoming the JEP's first report as 'a significant and impressive piece of work' it said the report's recommendations should form the basis for negotiations. Delegates at a special higher education sector conference on the USS dispute held on 21 June passed a number of important motions on the Joint Export Panel and possible future action. alternative valuation models and assumptions to those used by USS. Note that members will be consulted by their branches over the detail of the offer, who will then feed back to the Higher Education Committee (HEC) on 28 March 2018. HEC will then decide whether it should be put to a full member ballot. Until then, action continues. Members at Ulster University and Queen's University of Belfast are not taking strike action on Friday 16 March but action short of a strike continues. Talks at Acas resume tomorrow morning and as you would expect, UCU has been busy working over the weekend in preparation. Please continue to participate in the strike tomorrow. Your negotiators are doing an important job and they really need your support. If you are a new member or someone who has not yet visited the picket line why not come down to say hello tomorrow; you will get a very warm welcome. There has been constructive engagement and progress on the challenging issues in the dispute. Talks will continue on Monday, although both sides will be working over the weekend. For the avoidance of doubt, the strikes remain on. 'I don't cross picket lines' says Manchester Central MP Lucy Powell as she cancels lecture at University of Manchester. With less than two weeks to go until the first wave of strikes branches are now building for action. 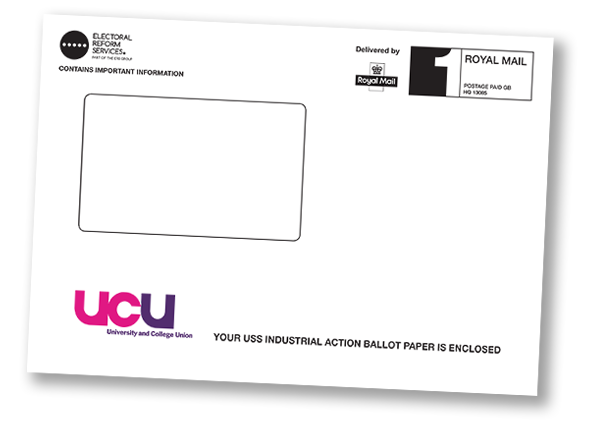 New year update to USS members from the UCU general secretary on the extended negotiation timetable and the approaching ballot deadline. Your dispute questions answered, including: the impact of proposals, impact analysis, the significance of 18 December, the state of current negotiations, affordability, breakthrough prospects, imposition implications, the 50% turnout requirement, replacement ballot papers, new joiners and voting, and what form of action is likely? Voting papers are now being sent out in the ballot for industrial action over proposals to end guaranteed pension payments in USS. They should reach members over the next few days. Please look out for your ballot envelope. You can read the statement that accompanies the ballot here [131kb].